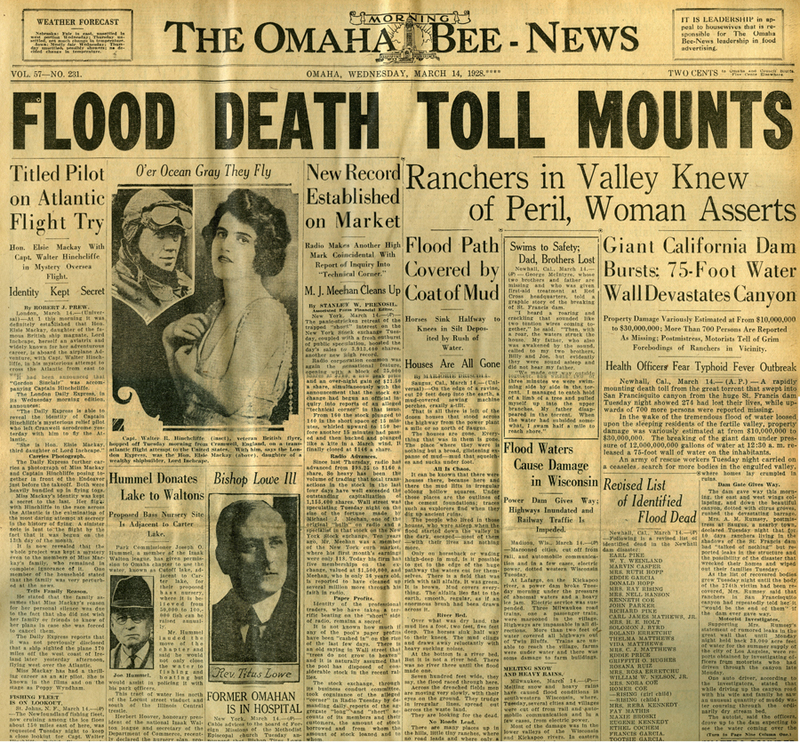 Omaha Morning Bee-News: Flood Death Toll Mounts, 3-14-1928. As can be seen in this Omaha, Nebraska newspaper from March 14, 1928, the St. Francis Dam disaster was big news and made huge banner headlines all over the country when first reported in the press. Today this second largest disaster in California history is mostly forgotten in the rest of the country but well remembered in the Santa Clarita Valley.